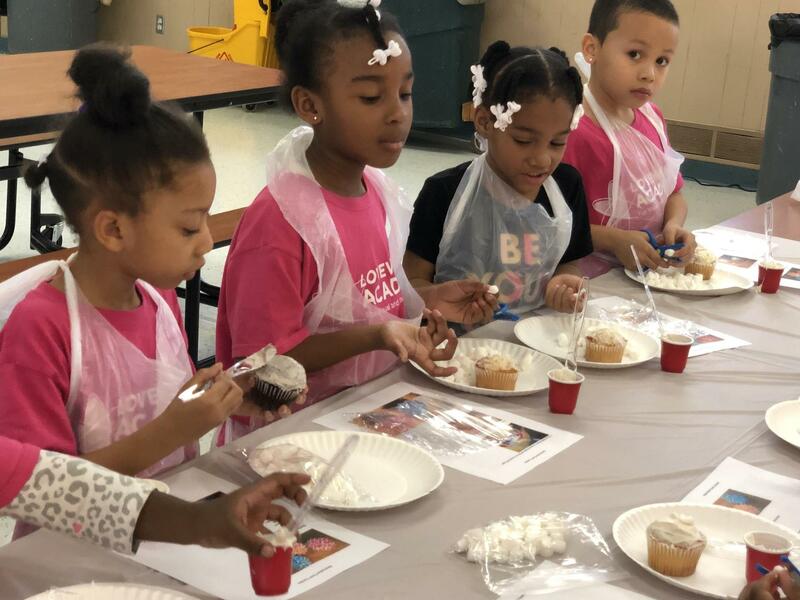 The educational mission is to improve the health of the entire community by teaching students and families ways to establish and maintain life-long healthy eating habits. The mission shall be accomplished through nutrition education, garden experiences, the food served in schools, and core academic content in the classroom. The Loveworks recognizes the important connection between a healthy diet and a student’s ability to learn effectively and achieve high standards in school. The Board also recognizes the school’s role, as part of the larger community, to promote family health, sustainable agriculture and environmental restoration. Ensure that no student in Loveworks Academy is hungry. Ensure that a healthy and nutritious breakfast, lunch and after school snack is available to every student at every school so that students are prepared to learn to their fullest potential. Eliminate the reduced-price category for school lunch, breakfast and snacks, so that all low-income children have healthy food available at no cost. Ensure that all qualified children become eligible for free meals by frequently checking with county social services. Ensure maximum participation in the school meal program by developing a coordinated, comprehensive outreach and promotion plan for the school meal programs. Ensure nutrient-based planning (as set forth under USDA guidelines) to allow for more flexible food selection. Ensure that the nutritional value of the food served significantly improves upon USDA Dietary Guidelines by providing nutritious, fresh, tasty, locally grown food that reflects Loveworks’ cultural diversity. Serve meals in a pleasant environment with sufficient time for eating, while fostering good manners and respect for fellow students. Integrate eating experiences, gardens, and nutrition education into the curriculum for math, science, social studies and language arts at all grade levels. Establish a school garden. Give students the opportunity to plant, harvest, prepare, cook and eat food they have grown. Establish relationships with local farms. Encourage farmers and farm workers to come to the school classroom and arrange for students to visit farms. Ensure that 2 students from student council are represented on the Child Nutrition Advisory Committee. Ensure that cafeterias are part of the environmental education of students and staff through reducing waste, composting, recycling and purchasing recycled material. School Nutrition Advisory Committee shall be established to discuss food-related topics of concern to the school community and help make policy recommendations to the Board. 5 Students (3 middle school and 2 k-5 students) appointed by student council. 3. The Advisory Committee shall meet at least 3 times a year at hours convenient for public participation. Present to the Board an Annual Report in April of each year on the status of meeting the food policy goals. Recommendations for improving the delivery and cost effectiveness of food services. Assist the Kitchen Manager in the development and implementation of the Outreach and Promotion Marketing plan. Make periodic reports, as the Advisory Committee deems necessary.